Gonna screen print up a bunch of these for y’all too. 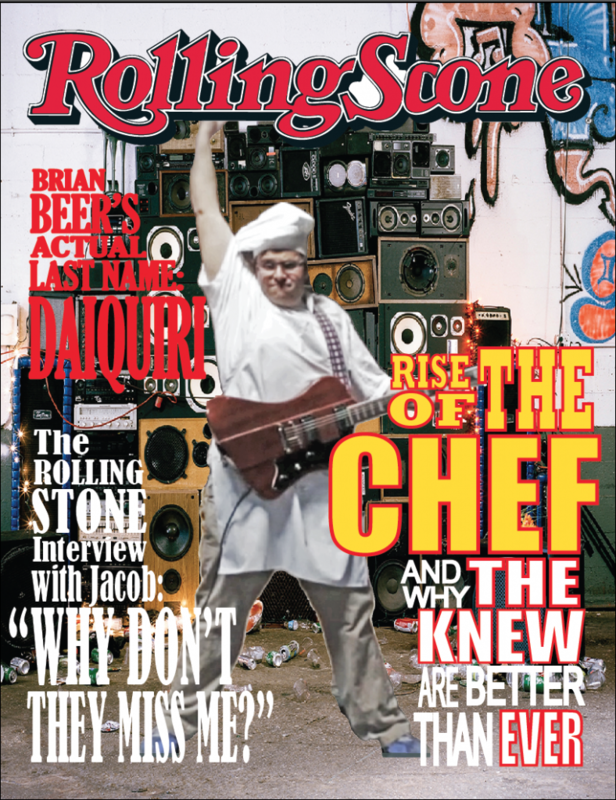 TK on the cover of ROLLING SCONE! Have you guys heard Divers from Portland? Those mofos put our one of our favorite records of the year. See them in the flesh tomorrow at Club Scum with us and Hair Cult. All ages. This is the cover of our 3rd LP. It is called Schmew. Like all of our LP covers, it is done by our comrade, Todd Roeth. Check out Todd 24-7. Here is some stuff about it: The Knew will release Schmew, their highly anticipated third album, on CD/LP/DL this Summer via Greater Than Collective. Here is some more information, by somebody not in the Knew, about Schmew. 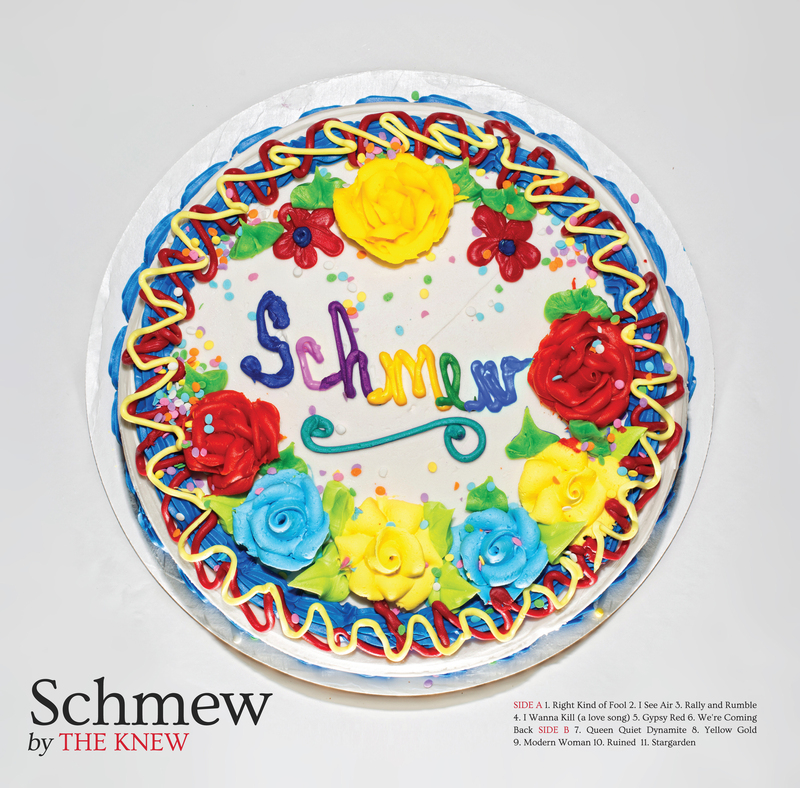 The new album by The Knew is called Schmew, so that when people say it, they say “The Knew Schmew”. The band thought this would be funny. It sometimes is. Schmew, as a title, is a nod to their ability to not take their band’s name, themselves, or rock n’ roll too seriously. Schmew, as an album, however, was taken seriously when it was made. 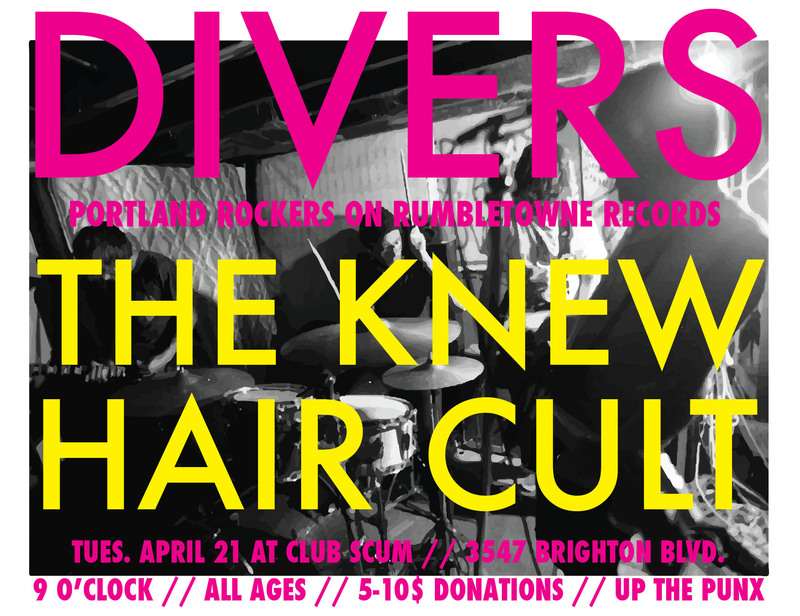 Throughout three LPs, three 7”s, a couple EPs, and more than enough weirdo dietary habits, The Knew now hangs their collective cap on Schmew, a rock n’ roll record that is quicker than their previous releases, denser than their former efforts, and heavier than their eight hangers combined. Part rock opera, part power pop, and totally stuffed full of strip-mall solos, Schmew is fringe-rock for those that are all in. Jacob, Ty, Tim and Andy (aka: the band) hope that you are one of those listeners. 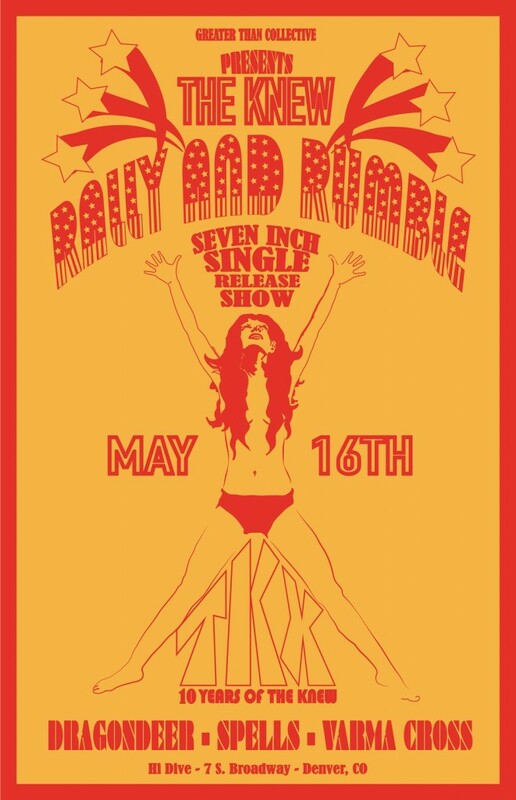 “Rally and Rumble” is the first single from the album. It is ready now on a 7” and on a download. Or just stream it here. Exercise your vocabulary and consider doing this fun madlib while listening. You might learn something new about The Knew… and maybe even yourself. CIAO. Through the years, Denver’s The Knew have proven themselves to be one of the most ______ (adjective) bands in the _____(place). Combining the spirit of _____(band name) with the ferocity of a ______ (name of wild animal) The Knew always strive to leave their audience ______(adverb) _____(verb ending in ing), with a ______(noun) in their ______(body part) and blah, blah ______(write in another blah). On their latest release, Schmew, the foursome set out to prove that _____(whatever genre you think we play) is alive and well and ready to ______(verb) the world. Filled with songs of _____(noun), ____(verb) and _____(type of food), Schmew embodies the essence of the _____(adjective) _____ (“of” the country you live in, i.e. if you are from Belize you put Belizean) ____(compass direction) and is a true statement in a(n) _____(planet) already saturated with ____(stuff that comes out of an animal). This album is recommended for people who ______ (intense feeling) _______ (least favorite activity) and for those who just can’t get enough _______ (favorite emoji). HERE YA GO: April, May, June dates below. Colorado, the South, and some places in between. 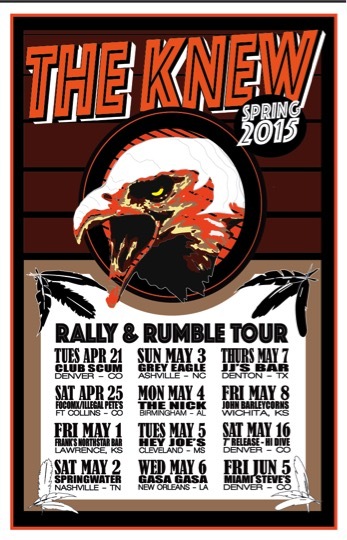 5/3 – Ashville, NC / Grey Eagle w/the Donkeys!